If you’ve ever had a birthday, chances are you’ve received a card from John Sands. Although John (1818-1873) has been indisposed for a fair period of time now, he never forgets a birthday, a funeral, an unexpected pregnancy, or any other occasion requiring a “social expression”. These days, John Sands is owned by the fittingly named faceless corporation American Greetings, but back before he sold out, Sands ran his operations from locations (dunes?) in Druitt Street, the flagshop in George Street, and here, in Clarence Street. 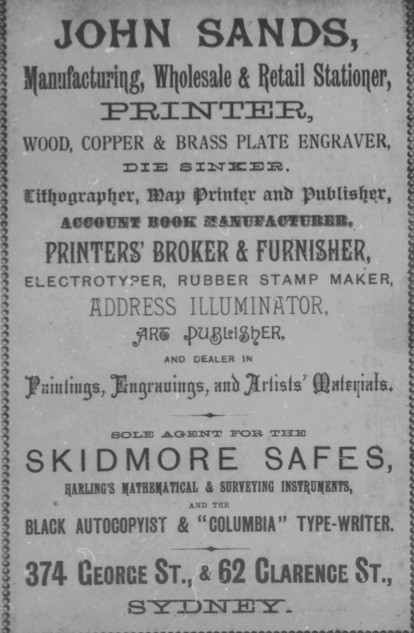 As you can see, John and the other Sands made a living sinking dies, engraving plates and printing all manner of stationery. 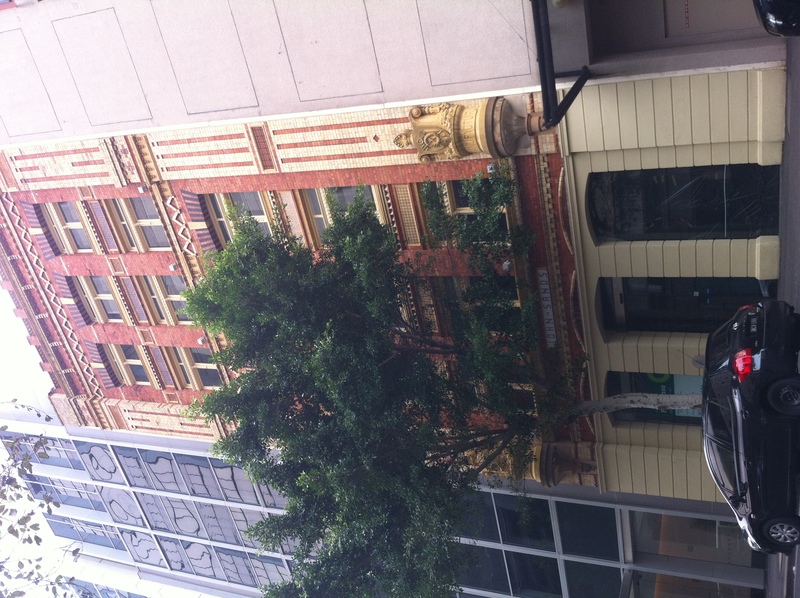 Someone was canny enough to have engraved the business name all over this building too, because now it’s heritage listed. Despite the listing, it’s currently for lease, despite plans in recent years to convert it into an Italian restaurant and a Nando’s chicken shop, among other things. To survive a Nando’s incursion…that’s staying power. I guess you might say [Terrible sand erosion pun removed for everybody’s sake – Ed].